We take you from your hotel to where food, drink, music and a few recognisable faces from the paddock will gather including a couple of riders! 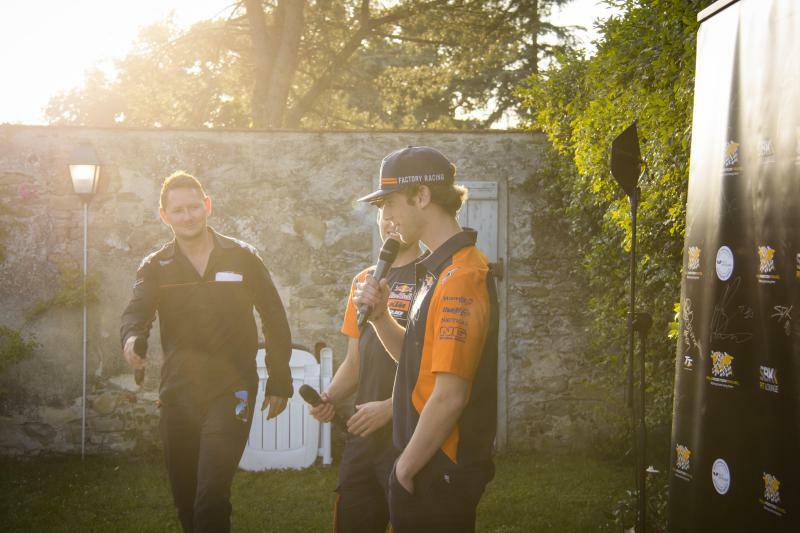 The event is VERY exclusive; open ONLY to guests of Pole Position Travel and MotoGP insiders. Best of all, the party is INCLUDED in all packages (apart from Essentials package, customers may book at substantially discounted price). Others may book, space permitting. Price includes all beer/wine, food and transport for our accommodation package guests. 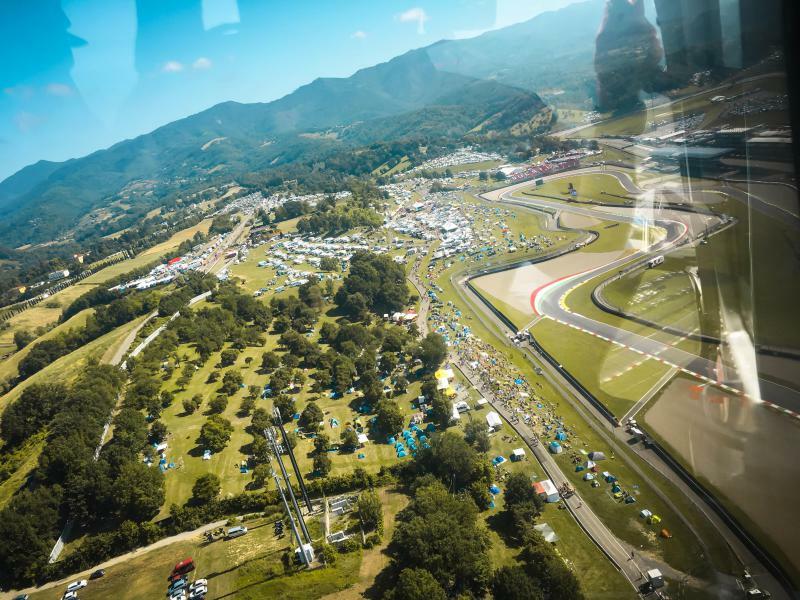 Mugello circuit is often said to be one of the most beautiful in MotoGP. The flights are a panoramic 8 minutes circulating the circuit - even when bikes are in session! Get your camera ready! The service includes transport from the main entrance (Red Helmet), taking you to the helipad. We will assign times closer to the event, but most will be on Saturday, and we will attempt to do during MotoGP sessions. You may request a specific time and we will try to accommodate (first come, first served). There may be waiting time as the helicopter shares the air space with the TV chopper. As one of our biggest events, we have a packed programme! Friday night is our awesome Gala Dinner, at a sumptuous venue near the circuit. 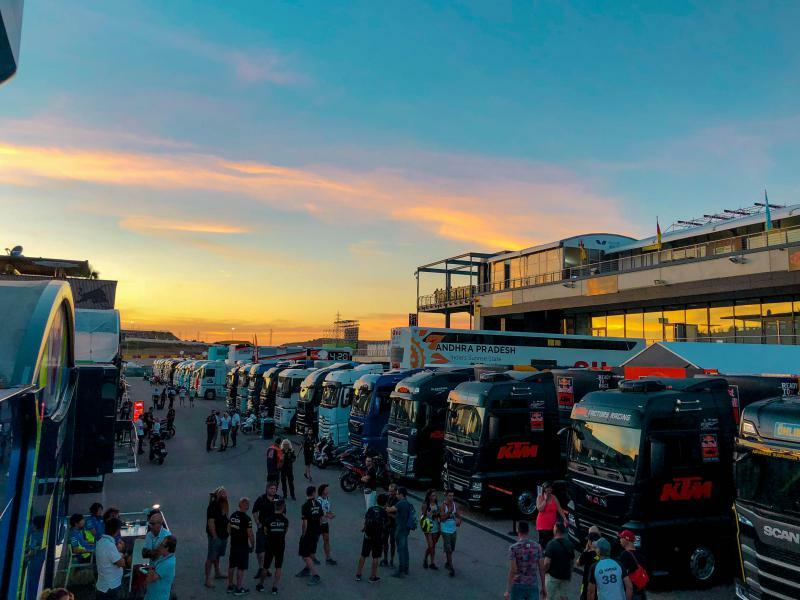 We host all our package customers and invite many teams, riders and paddock personalities. Limited availability to non-package guests. Transport from our Florence hotels provided. SATURDAY night we offer a sightseeing and tasting tour of Florence. This is a great way to get to know the culture of the town in a beautiful way. 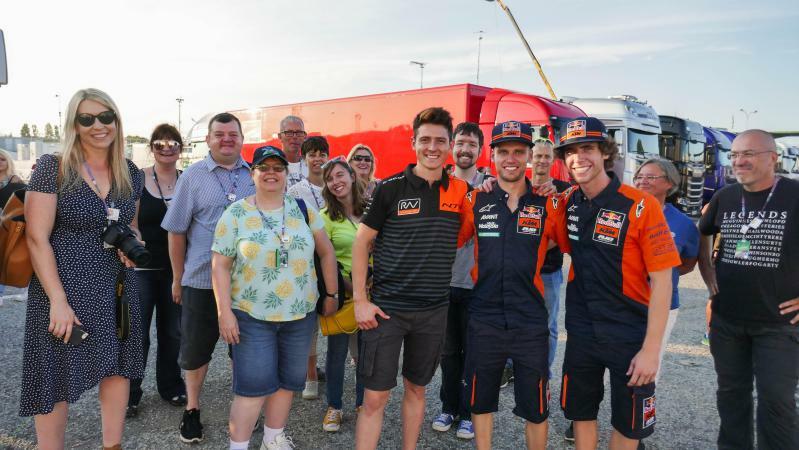 You can also book our MotoNight Dinner with a MotoGP team in the Paddock! 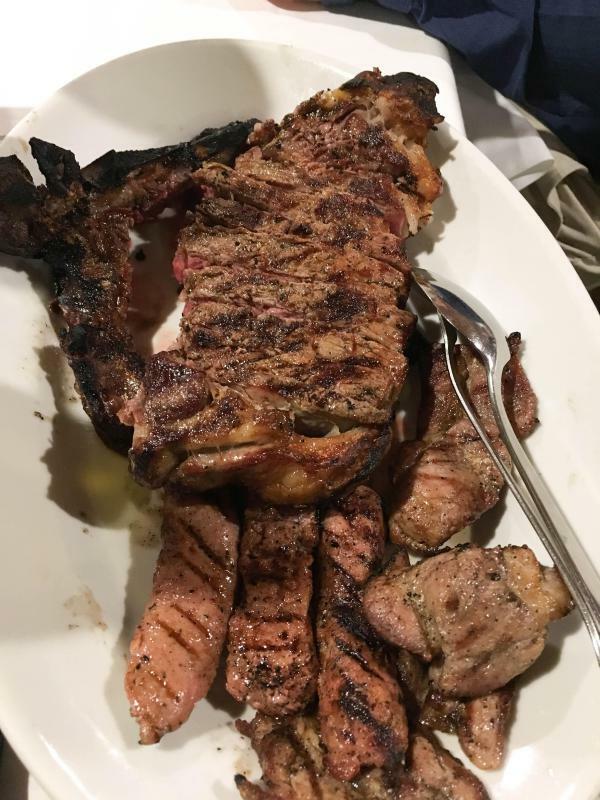 SUNDAY night we have a closing dinner in a well-loved Florentine (lots of great meats and wine!) restaurant. Included in the Deluxe package, but others are strongly recommended to book! MONDAY: We will be joining the Moto2/3 test with a our Team Hospitality in the paddock.